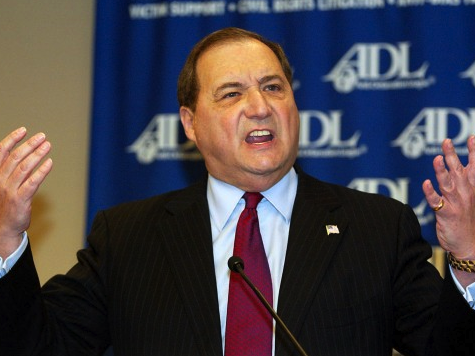 Abraham H. Foxman, a self-described liberal and head of the Anti-Defamation League, slammed Secretary of State John Kerry for “inappropriate” remarks directed at Israeli Prime Minister Benjamin Netanyahu, Ha’aretz reports. On Sunday, Kerry had warned in an address to the Institute of Peace in Washington, D.C. that the Obama administration “will not succumb to fear tactics” against pursuing diplomacy with Iran. Kerry’s remarks were widely interpreted as a reference to Netanyahu, who has said in recent weeks that Iran is merely using new talks to buy time and that Israel would be prepared to “stand alone” against Iran if necessary. The Obama administration vigorously opposes an Israeli strike, and has used selective leaks of information regarding Israel’s potential tactics against Iran in order to prevent Israel from taking action.